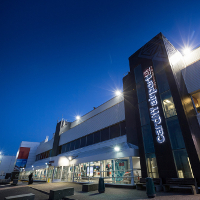 OpenView Security Solutions, the UK’S largest privately-owned independent security systems company and a national supplier of electrical and mechanical services, has completed a major upgrade to the CCTV security systems used at Cardiff Airport, the national airport for Wales and a key gateway to the UK. The project included a software upgrade for 40 cameras and replacement of a further 110 cameras with the latest high definition devices. 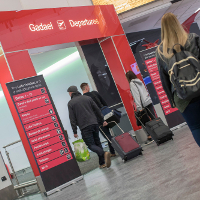 The security network was expanded with an additional 80 cameras to meet the requirements of Cardiff Airport which is one of the UK’s key strategic assets that welcomes over 1.58 million passengers annually. OpenView Security Solutions was invited to propose a solution for the staged upgrade of the security network as it was the airport’s incumbent CCTV systems maintainer and had received recommendations from Indigo Vision, which supplied the cameras, Video Management System (VMS) and Network Video Recorders (NVRs). The first phase of the upgrade project saw OpenView upgrading the CCTV control room with Indigo Vision’s Control Centre, the company’s latest VMS platform and a new video wall to give operators the clearest view of the expanded camera network. It also provides department heads with browser-based access to video footage to quickly review events and enhance decision-making. Additional Indigo Vision NVRs were installed to capture and store images from all cameras for a 31-day period with an additional unit for failover applications. The upgrade was planned and completed to minimise disruption to the airport operation and ensure continued security vigilance throughout the process. OpenView then replaced existing cameras which were obsolete and, as soon as new cat 5 cabling had been installed by the airport’s third-party contractor, was able to complete the new installation locations across the Airport including fire stations, management suite and hangars. “With extensive experience of working with airports and a nationwide network of strategically located offices, this upgrade confirms OpenView’s ability to handle major infrastructure projects for safety-critical organisations throughout the UK,” added Andy Ward, Sales Director at OpenView Security Solutions. Several challenges had to be overcome whilst completing this upgrade including having to unexpectedly replace collapsed ducting in some of the car parks and the handling of all intricacies involved in risk assessments relating to working at height throughout the airport. OpenView continues to provide a high-quality maintenance support service to ensure the system consistently operates at peak efficiency and is working closely with the IT team to further enhance the CCTV network as the airport continues to expand.